Sauvignon Blanc is a white-wine grape originating in the Bordeaux and Loire Valley regions of France, where it remains a mainstay type. It is generally considered one of the dozen and a half or so of world-class white-wine grapes (those in boldface in the dropdown varietals lists near the top of the page). It is today grown world-wide, with New World SB wines of note coming from New Zealand (especially), California, Australia, Chile, and Washington State. Sauvignon Blanc has a strong and distinctive varietal aroma and taste, particularly in New Zealand's renditions. That quality is variously described as "herbal", "smoky" (SBs are sometimes called "Fumé blanc"), "grassy", and sometimes even—and favorably!—"pipi de chat" (cat pee); obviously, the quality is hard to describe—but once encountered is never forgotten. 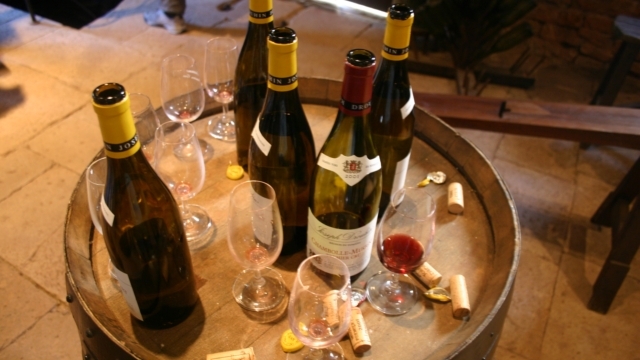 The taste can be much affected by the climate: in cool climates, the wines tend to be sharply acidic, with the characteristic SB qualities foremost, backed by some notes of fruit and flower; in warm climates, the fruit comes more forward but the defining SB qualities correspondingly recede, tending to leave wines that are mildly pleasant but rather characterless. The best specimens are generally felt to be those from France's Loire Valley and from New Zealand. In most regions, it is bottled as a monovarietal, but in Bordeaux it is typically blended with Semillon to make regionally named wines. 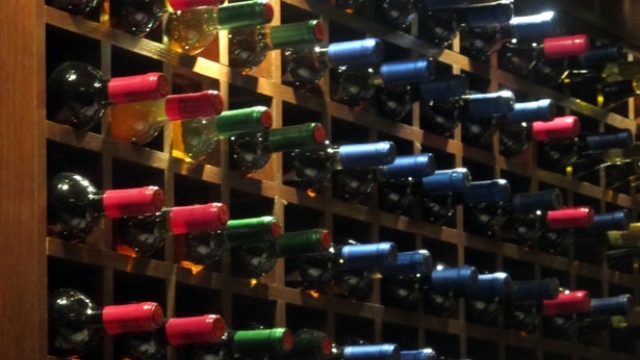 It is not a wine that benefits much from aging, and indeed will typically deteriorate if not drunk young, though there are exceptions to that rule of thumb (typically those aged on oak before bottling). Sauvignon Blanc is also used in dessert wines (notably Sauternes and Barsac), with which we are not concerned here. Factoid: Sauvignon Blanc may or may not be descended from the Savignan grape, but the two are quite distinct today in qualities, despite which Savignan (and Sauvignon gris, yet another distinct varietal) are often confounded. "Depending on the climate, the flavor can range from aggressively grassy to sweetly tropical. 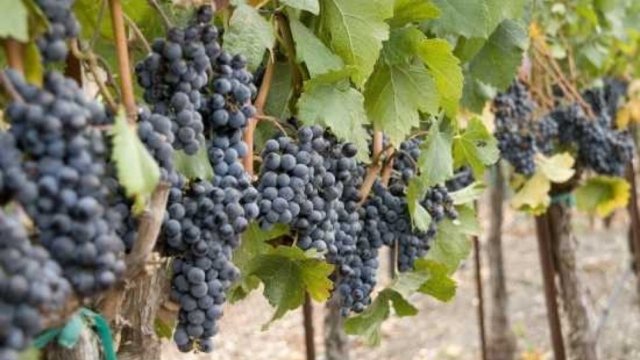 In cooler climates, the grape has a tendency to produce wines with noticeable acidity and "green flavors" of grass, green bell peppers and nettles with some tropical fruit (such as passion fruit) and floral (such as elderflower) notes. In warmer climates, it can develop more tropical fruit notes but risk losing a lot of aromatics from over-ripeness, leaving only slight grapefruit and tree fruit (such as peach) notes. Wine experts have used the phrase "crisp, elegant, and fresh" as a favorable description of Sauvignon blanc from the Loire Valley and New Zealand." "Typically a light to medium-bodied, crisp and refreshing white wine with notable acidity, Sauvignon Blanc offers a fairly wide range of flavors. From herbal taste sensations to veggie, and from flavors of grass, hay and mineral tones to a citrus and tropical flavor mix, Sauvignon Blanc displays a very unique wine tasting adventure." "This dry white wine grape offers distinctive flavors of citrus fruit, melon, fig, herb and sometimes grassiness. Sauvignon Blanc [So-Vin-YAWN-Blonk] can also offer vanilla and creamy flavors when introduced to oak. Typically light, crisp and full of fruit, and thrives as the white wine of Bordeaux and is used to produce the delicious Pouilly-Fumé and Sancerre of the Loire Valley. It has also proven extremely successful in California, New Zealand and Chile. Although wonderful with food, it is also the ideal selection for an aperitif." "The primary fruit flavors of Sauvignon Blanc are lime, green apple, passion fruit and white peach. Depending on how ripe the grapes are when the wine is made, the flavor will range from zesty lime to flowery peach. What makes Sauvignon Blanc unique from other white wines are its other herbaceous flavors like bell pepper, jalapeño, gooseberry and grass. These flavors come from aromatic compounds called pyrazines and are the secret to Sauvignon Blanc’s taste." "The most salient characteristic of sauvignon blanc is its distinctive, penetrating aroma, which can evoke scents of grapefruit, lime, green melon, gooseberry, passion fruit, freshly mown grass, and bell pepper. Grown in cooler climates and in fertile soils promoting excessive vine growth, herbaceous smells and flavors can dominate the character of the wine, while in warmer regions, the melon, citrus and passion fruit aromas and flavors emerge. Most producers ferment and age their sauvignon blancs in stainless steel to accentuate the wine’s crisp, zesty, bracing qualities, while a few barrel-ferment the wine. 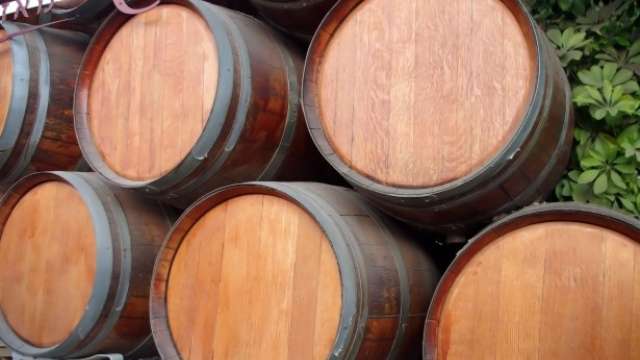 Malolactic fermentation is rare, and barrel-aging usually is limited to a few months’ duration." "The best regions for Sauvignon are the Loire Valley in France, where it takes on a firm, minerally depth; New Zealand, where it recalls the tartness of gooseberries and, sometimes, an almost green, jalapeño-like note; California, where it pairs crisp grassiness and a melon-like flavor; and South Africa, particularly the Cape region, where it combines the minerality of France with the rounder fruit of California." "The key selling point of Sauvignon Blanc is its straightforwardness – the flavors are rarely hidden away in the background. Also, there is a particularly close correlation between the perceived flavors and their descriptors, making Sauvignon Blanc an ideal wine with which to begin wine-tasting lessons. Classic Sauvignon Blanc aromas range from grass, nettles, blackcurrant leaf and asparagus to green apples and gooseberries, and to more esoteric notes such as cats' pee and gunflint. The latter is a sign of a wine from Pouilly-Fume, where the struck flint aroma (known there as pierre à fusil) derives from the presence of high levels of chert in the local limestone soils. This effect is so pronounced and consistent that Sauvignon Blanc was once widely known as Blanc Fumé in this part of the Loire. . . Strange as it may seem, bright, green Sauvignon Blanc has much in common with dark-skinned Cabernet Sauvignon, and not just in the name and region of origin. The bell pepper and asparagus flavors detectable in wines of both types are down to the methoxypyrazine flavor compounds in both varieties." We have ruthlessly pruned what threatened to become a virtual catalogue of SBs down to one representative for each of five major SB-producving areas: New Zealand, France, California, Chile, and Washington State. We could easily have doubled that list, and more, but those should be a fair introduction to the grape. ♦ Everything you'd ever want in a Sauvignon Blanc is here—and then some. Grassy, herbal, citrusy aromas set the pace, joined by some slightly feral, wooly pungency that adds even greater complexity. On the palate, it's plump and mouthwatering without being excessively tart, and lingers gloriously on the finish. 92 points, Editors' Choice. ♦ The aromas are light with notes of herb, citrus and tropical fruit. The palate is a bit more generous, showing pleasing herb and tropical fruit notes accented by tart acidity. 88 points. ♦ The nose shows amazing complexity, ranging from Key lime juice, gooseberry pie and tangerine, joined by passionfruit, mint and a touch of nuttiness from the 32% barrel fermentation. Inside, the ride continues with grapefruit and gooseberry, yet there’s some midpalate creaminess from four months of surlie aging that’s hinted at by flavors of ripe melon and passionfruit. It’s all backed by awesome acidity…Rating: Outstanding! ♦ Gorgeous aromas of gooseberry pie and starfruit lead to juicy tropical flavors for a long and mouthwatering finish. ♦ This is a quintessential Sauvignon Blanc, crisp and racy on the palate, as the winery utilizes partial stainless steel fermentation to preserve its fresh & vibrant citrus characteristics. Another definite for warm weather quaffing. ♦ Aromas of green apple and citrus are as classic as it gets for Chilean Sauv Blanc. This is straight forward but enjoyable, with modest minerality. Flavors of citrus and gooseberry carry over onto a refreshing finish. 87 points. ♦ The 2011 Veramonte Ritual Sauvignon Blanc begins with light pineapple, peach and floral aromas along with a touch of vanilla and butterscotch. The wine tastes rich and has some creaminess to it. It also features a bit of zesty lemon. This is a really smooth, soft and balanced wine with a long finish. Time well spent in oak in my opinion — I’d love to see more Sauvignon Blanc like this. Taste Rating: 8; Cost Rating: 5; Overall Rating: 7.3. Recommended Buy. ♦ The Ritual Sauvignon Blanc 2015 is a bright and irresistible white wine. Intense citrus and floral notes are combined with flavors of white peaches and nectarines that are enhanced by the well-integrated acidity. It's long and vibrant with an impeccably clean, smooth finish. 93 points. ♦ [It] delivers stony, mineral-drenched citrus and orchard fruit aromas and flavors, with very good spine and impressive precision. ♦ This Sauvignon Blanc from the Loire Valley (about 50 miles west from Sancerre in France) has a nice lemon-straw color and a beautiful intensity. The nose is clear with a medium intensity. You can find some apricot, lemon and minerals notes. As the palate, it is a dry wine with a medium body and a high acidity, you will taste some citrus (lime), apricot and mineral (from the calcareoussandy soil) with a touch of bracken and a long finish. ♦ Jesus this is good. Loire Valley Sauvignon Blanc done right. Flinty, citrusy and peppery. Tastes like a cool breeze. A fraction of the price of Sancerre and better than a lot of them. ♦ [Google-translated from French:] Pale yellow color with gold and white. Beautiful aromas with lots of roundness and aromas of white flowers. The mouth is a good balance between freshness, fruitiness and roundness. The long finish reminiscent of light citrus notes. ♦ [Google-translated from French:] Quincy 2006 is very successful, the flowery, sweet and powerful nose, a beautiful aromatic aftertaste with hints of peach and lime, very well balanced in the final, tasty as 2005 and ample bouquet. Quincy Tradition got a Bronze Medal at the Concours Général Agricole in Paris in 2007. 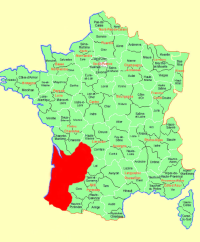 ♦ If the apex of Sauvignon Blanc production in France is the Loire Valley, then the benchmark in California is Chalk Hill—that northeast corner of the Russian River Valley where a thermal belt runs through its chalky white volcanic ash. And my summer “time to entertain” pick is the Chalk Hill Estate Sauvignon Blanc. This new age blend almost tastes like candied lemon peel with undertones of white peach and a hint of something tropical. Chalk Hill's complexity balances rich and creamy without the usual barnyard hay. Catalysts for its deliciousness include French oak barrel fermentation, sur lie aging and an artful blend of white grapes. ♦ 2009 Chalk Hill Sauvignon Blanc is the kind of Sauvignon Blanc that I love, filled with balanced mineral and grassy notes with hints of citrus and fruit, without being overwhelming. Barrel fermented and aged for 10 months, this is a complex wine filled with ripe peach, mango, lemon peel and passion fruit with layers of herbal and grassy notes. ♦ This pale yellow colored Sauvignon Blanc from Chalk Hill finished in second place in our big blind tasting. It opens with a honey and bees wax bouquet with a hint of lime. On the palate, this wine is medium bodied, balanced, and round. The flavor profile is a mild lemon with hints of green apple and cream soda. We also detected hints of white pepper and vanilla oak. The finish is dry and pleasantly refreshing. ♦ Fresh aromas of lime zest, lemon curd, talc and bananas. Bright, tart flavors of lemon, lime, passion fruit, white pepper and touch of green bell pepper that are elegantly balanced with a creamy butteriness. Two Thumbs Way up. ♦ Most California Sauv Blancs tend to be either towards the citrus/grapefruit side with high acidity or, if they from warmer regions, they are tropical and have notes of stone fruits. This one is made in the California Fume Blanc style (made popular by Robert Mondavi) as it is slightly tropical, with stone fruits, nectarines, peaches, mango, melon, fresh lemon, and canned pear aromas. I tend to prefer very crisp Sauv Blancs with a citrus/grapefruit profile and I have a dozen or so from different wineries in my cellar. However, I liked this one as an alternative and picked one up to serve side by side with another to demonstrate the range of styles. So, I liked this wine but I paid too much for it at $33 a bottle. ♦ Aromatic nose of tropical fruit, white flowers, peach, and melon. Medium bodied, showing stone fruit and citrus notes with a long, full finish. Outstanding! Rating: Gold star. ♦ The Estate Sauvignon Blanc, which more often than not receives scores of 90 points or above, is a clonal blend. These are extraordinarily rich, balanced wines, never suffering from green, unripe notes. A nice Sancerre will not be inexpensive. That said, a good choice should be the widely available Alphonse Mellot Sancerre "Edmond".